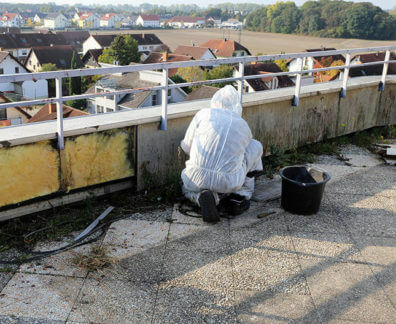 Ensure that your project is completed according to specification and without any delay thanks to the prompt and professional demolition contractors at Super Demolition! 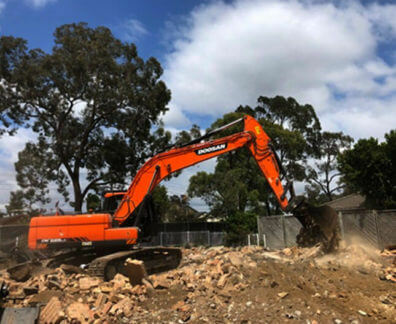 For many years we have been delivering industry-leading and highly-effective demolition services and solutions to Sydney residents living and working throughout both the city and the suburbs. 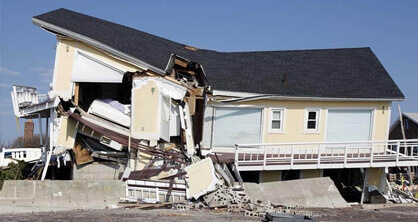 Highly-responsive, our skilled and passionate demolition contractors are only a phone call away and will not abandon the project until it is completed. 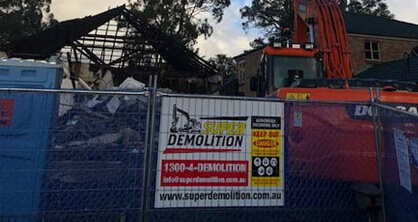 Offering much more than standard property and structure demolition, the Super Demolition team have the qualifications and equipment to deliver soil removal, site clean ups, and even safe and careful asbestos removal works, all to make your construction site or property better suit your needs and requirements. 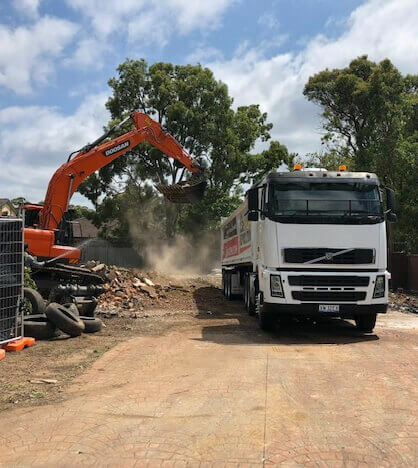 Thanks to our hands-on and personalised approach to house demolition, Sutherland locals and others in the surrounding suburbs can enjoy a stress-free and considered experience by trusting Super Demolition. 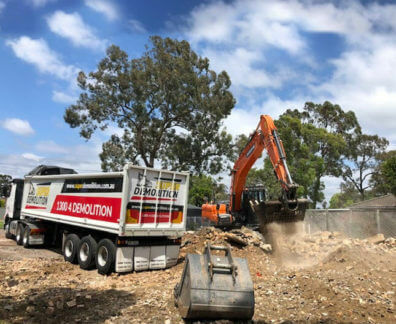 As a family-owned and operated demolition company we know the importance of delivering a premium-quality and accessible service. 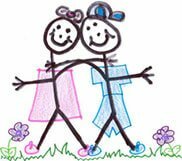 With this in mind we proudly offer all of our effective demolition services at affordable prices to keep our customer’s costs low. 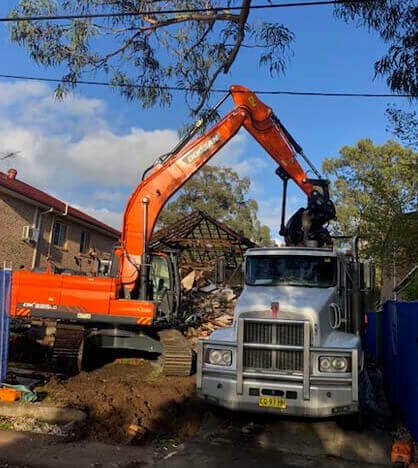 To learn more about our comprehensive or partial house demolitions Sutherland residents are encouraged to give a member of our helpful and professional team a call on 1300 433 665.